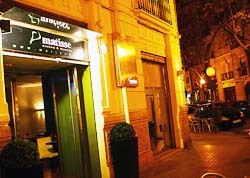 The Restaurante Matisse is a Spanish restaurant which can be found in the heart of the city of Valencia which prides itself on providing high quality food, including meat, rice dishes and Spanish tapas, for a comfortable and affordable price. The Restaurante Matisse opened its doors in 1999 in Valencia and has continued to be a highlight for locals and tourists alike. The restaurant aims to provide a guide to Valencia's cuisine, allowing its customers to discover the Spanish region through their sense of taste. With the aim of celebrating its tenth anniversary in 2009, the Restaurante Matisse held special evenings on which they offered customers a pudding, a coffee and a shot on the house. The restaurant is decorated in a minimalist style in order to highlight the large tables and focus the attention on the Spanish food and drink you are enjoying. The ceiling is home to three large crystal candelabras which make you feel like you are eating in a house belonging to the upper classes in Spain. In the spring and summer season, the restaurant opens up the terrace outside so that people can enjoy a cooling beer or glass of wine with a dish from the summer menu or a selection of tapas. The Restaurante Matisse may not be found in your Valencia guide but it is still famous among the locals and critics alike. Famous for its modern decor, extensive menu and attention to its customers, this Spanish restaurant is definitely worth a visit when you go to Spain. The Restaurante Matisse has three dishes of which it is particularly proud: the 'Tempura verduras y gambas' (Tempura of Vegetables and Prawns), the 'Ensalada del Chef' (Chef's Salad), and 'Arroz meloso de bogavante' (Sticky Rice with Lobster). The Tempura of Vegetables and Prawns from the Restaurante Matisse is a perfect dish to share with friends and is said to be one of the best and tastiest tempura in Valencia. The tempura is served with soy sauce which will tickle the taste buds of any lover of East Asian food. 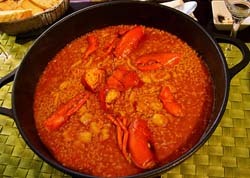 The Sticky Rice with Lobster is yet another famous and popular dish served by the Restaurante Matisse. This meal may sound expensive to most with the inclusion of lobster, but this Spanish restaurant often put a taster version of this dish on its more affordable weekend menu. The Restaurante Matisse offers a main 'à la carte' menu but the best deals and the best dishes can be found on their set menus. 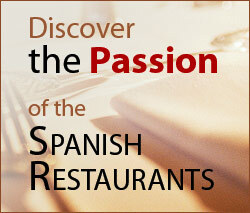 These include the Weekend Menu, Daily Menu and Executive Menu. The Weekend Menu is the best place to start if you want to try out some of the restaurants most famous dishes for a good price as they often put their signature dishes as well as new additions on this menu in order to test and increase their popularity with the clientele. The other two menus are offered throughout the week. The Executive Menu is the one to choose if you want to get the best of all the specialities served by the Restaurante Matisse at an affordable price of around 15 euros. Meanwhile, the Daily Menu is a cheap option tailored to the working Valencian who still wants to eat fine Spanish cuisine in their lunch break. The Restaurante Matisse clearly wants to show that it is a Spanish restaurant that can cater for a wide range of people including people who work, people who study Spanish abroad, tourists and locals. In order to maintain their appeal to the working public, the restaurant installed free Wi-Fi internet at the establishment so that their customers can enjoy a tapa while checking their emails!